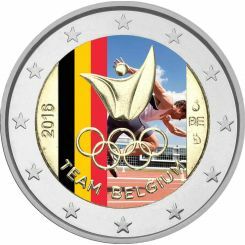 Official colorized commemorative 2 Euro coin, with a weight of 8.5 grams and a diameter of 25.75mm, issued by the National Mint of Finland in 2015. 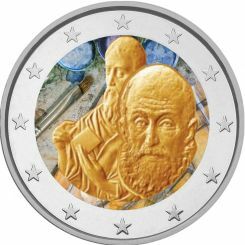 The two-euro special coin is most beautiful in proof quality! In its package, the coin will make a beautiful addition to your collection and be preserved from one generation to the next. Order a polished commemorative Jean Sibelius coin in an elegant package from the online shop. 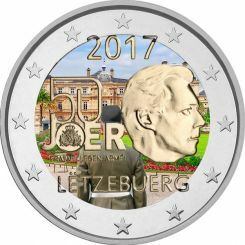 Proof-quality commemorative coins are minted with a polished die, finished, and placed in a protective clear plastic casing set in an elegant package. The package includes a certificate of authenticity that indicates the coin's technical specifications and tells its story. Internationally, Jean Sibelius (1865–1957) is Finland's most successful composer. He has been and still is a strong influence on many composers in Finland and abroad. Jean Sibelius' best-known works include Symphonies 1–7, Finlandia, Valse triste, Violin Concerto in D minor, Op. 47 and, drawing their inspiration from the Kalevala tradition of Finnish folk poetry, Kullervo and the Karelia Suite. The national side of the commemorative two-euro coin depicts the starry sky of Ainola and a copse of pine trees, under which Sibelius was captured in several photographs. The side of the coin dedicated to Sibelius is designed by Nora Tapper. 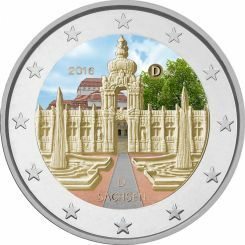 The commemorative coin's reverse is identical to that of ordinary two-euro circulation coins.